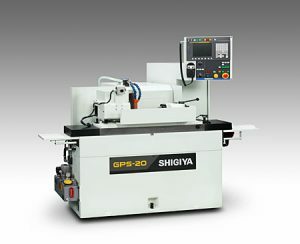 The GPS-20 CNC cylindrical grinder meets the need for unparalleled quality, flexibility and productivity. User-friendly conversational programming. Quick and easy interaction. Fast setups. Simple traverse and taper movements. Efficiency and economy. Shigiya created the GPS-20 to satisfy these customer demands and more.